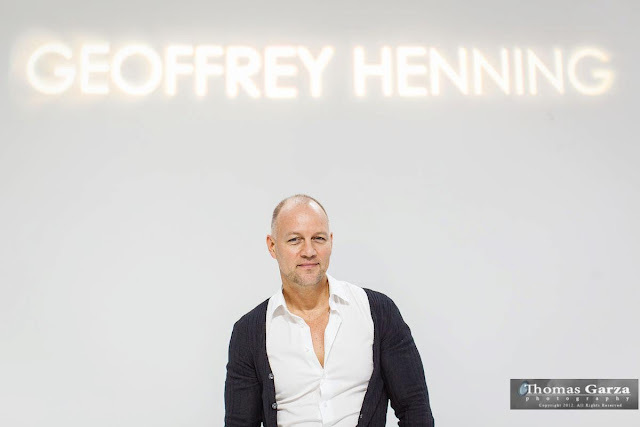 THE FASHIONISTAS presented their Fall Runway Series featuring designer Geoffrey Henning on November 8 at 129 Leslie. The Fashionistas Runway Series provides a platform for emerging designers to develop and present their unique perspectives in art and fashion. Henning's designs are the embodiment of style, proportion, and empowerment; bringing together classic femininity with bold design. Chaired by Don Gaiser and presided over by Fashionista founder, Heidi Dillon, this stylish soiree hosted a bevvy of beauties who all turned out in their Fall finery dressed to impress! Stunning style was everywhere I turned. A few of the notables I chatted up were Regina Bruce, Rick and Janet Fresquez, Scott and Gina Ginsburg, Susan Mikkelsen Pielsticker, and Cathy Williamson. Up-and-coming designer, Edgar Gomez was there with several models who trailed him sporting his latest creations (he knows how to work a crowd!) and the incomparable Jan Strimple floated about looking calm as a cucumber, even through she was producing the entire runway show. And let's talk about the paparazzi! I have never seen so many photographers at one event. Not even DIFFA or Cattle Baron's Ball. It just goes to show you the lure of The Fashionistas... they know when Heidi throws a bash it's going to be a SHOW! The runway was filled with duchess satin, organza and crepe silk in soft pastels that channel the style and femininity of the 1950s French couture houses. In contrast, Henning's Resort Collection moved into the freedom from constriction and evoked the soft femininity of the seventies... where color and soft draping defined the era. Bold color and patterns aligned to create a graphic illusion to the viewer. Local jewelry designer, Shona Gilbert, had been hand-picked to have her designs compliment Hennings Collection. I have to say, it was a match made in fashion heaven! The video clip below is from the show's finale. After the show, the winners were selected from the evening raffle tickets sales and several prizes were awarded. One of the highlights was a 3 carat Blue Topaz ring set in white gold and surrounded by 1 carat of diamonds from Bova Diamonds. And when the winning ticket was called... the winner was Maggie Sova of Bova Diamonds! Everyone got a big laugh out of that and then Maggie announced that she didn't want to win her own ring and the announcer said jokingly, "Well, you could give it to someone..." I happened to be sitting across the runway from Maggie and I excitedly waved my hands and said, "Me! Me!". So Maggie says, "OK, give it to Cynthia!" Whaaaaaaaaaaaa!? So, I am now the proud owner of a fabulous new cocktail ring and Maggie Sova is my new BFF.